On Friday 17 February, a preview of a new state-of-the-art addiction treatment clinic in Perry Hill, Worplesdon, Surrey took place. The event was attended by local neighbours and dignitaries including Reverend Alex Russell, Guildford Mayor Gordon Jackson and Councillor Bob McShee. From left to right: UKAT Founder Eytan Alexander, Reverend Alex Russell, Guildford Mayor Gordon Jackson and Councillor Bob McShee. The private healthcare facility, owned by UK Addiction Treatment (UKAT) will help people suffering from a range of addictions and disorders. Thanks to exceptionally high standards of treatment. 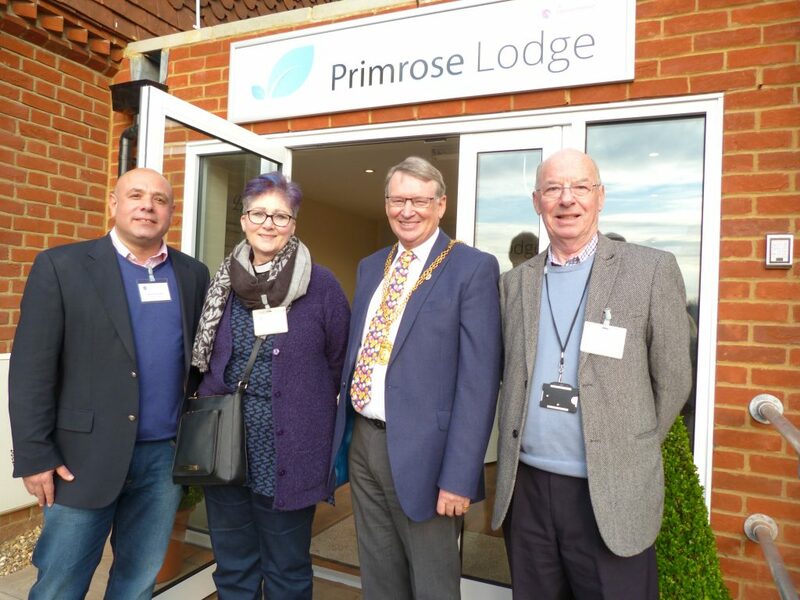 Primrose Lodge, formerly Primrose House, has been completely modernised and renovated with 19 en suite bedrooms and a well-equipped gym at its semi-rural Surrey location. Set in quiet gardens, the new clinic features purpose-built counselling rooms, group areas and treatment rooms. Patients will be supported around the clock by a dedicated team of experts to maintain the excellent levels of care. The treatment centre benefits from its own highly-qualified chef providing healthy and nutritional meals using fresh ingredients and local produce. Residents are cared for in a holistic way to encourage a healthier mind, body, and spirit. Recognising that no two patients are the same, Primrose Lodge provides individual treatments for each person’s need. Counsellors and therapists will tailor treatment programmes to maximum effect and healing. Group therapy, one-to-one counselling and mindfulness coaching are also on tap. Eytan Alexander, founder of UKAT, said, “We are very grateful to all who came along on Friday to learn about what we do.There are several addiction facilities in Surrey but there are very few that provide affordable private medical care. Through this new facility, much needed treatment can be offered for those in need. “The new clinic can accommodate up to 19 patients at any particular time. The most common condition we treat is alcoholism and our team at Primrose Lodge consists of a qualified doctor, counsellors, psychotherapists, holistic therapists, medical staff and recovery support workers. “A patient will spend approximately 28 days with us in 24-hour care. We use the well-known 12-step programme to help patients fully recover and encourage interaction with other patients. Our rehab programme includes detoxes, art therapy, cognitive behavioural therapy, group therapy, dialectical behaviour therapy, individual therapy, and meditation. Primrose Lodge, which is open to patients this week, is registered by the Care Quality Commmission (CQC), which governs all care homes, clinics and rehabilitation centres. UKAT has several clinics across the country including Halstead (Essex), Luton (Bedfordshire), Worthing (West Sussex), Runcorn (Cheshire), and Bradford (West Yorkshire).